In his role as the Director of Performance and Research, Mike serves as the strength and speed coach as well as the lead researcher for Athletic Lab. Mike directs all programming at Athletic Lab, manages facility development and oversees staff education programs. Mike brings the unique qualities of being an internationally recognized researcher, coach, and educator. His depth of knowledge and experience in the field of athletic development is evidenced by his stays at all three U.S. Olympic Training Centers as an athlete (Lake Placid), sport scientist (Colorado Springs & Chula Vista), and coach (Colorado Springs). 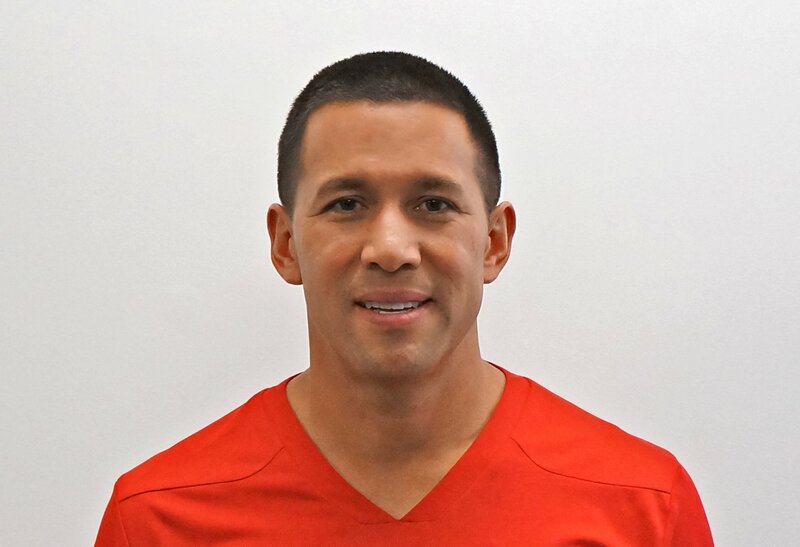 Mike has an undergraduate degree in Exercise Physiology, a Master of Science degree in Athletic Administration and a PhD in Kinesiology with an emphasis in Biomechanics. He has studied extensively in anatomy, physiology, sport psychology, motor learning, training theory and biomechanics. Mike has earned NSCA’s Certified Strength and Conditioning Specialist, is recognized by USA Weightlifting as a Level 1 and 2 Coach, a Crossfit Level 1 Certified Trainer, is one of less than 20 USA Track & Field (USATF) Level 3 coaches in the country and has a USATF Level 2 certification in 3 event areas. Mike is a world-renowned expert in the field of speed development and conditioning for sport. He is also recognized for his work in coaching the Olympic Lifts and creating specialized strength, speed and conditioning programs to help maximize the performance of any athlete. He has developed training plans for sports ranging from dragon boating and soccer to swimming. He has also helped prepare numerous players for the NFL combine (most notably Bradie James – Dallas Cowboys and Super Bowl Champion Marquise Hill – New England Patriots) and MLB (Andres Torres – World Series Champion). Mike has served as the Performance Director for both North Carolina FC of the USL / NASL and North Carolina Courage of the NWSL since 2016 and 2017 respectively. In 2017, the Courage won the NWSL Regular Season Shield and North Carolina FC qualified for the playoffs for the first time in 5 years. In 2018, the Courage became the winningest women’s soccer club in North American history by winning the first ever women’s International Champions Cup, winning their second consecutive NSWL Regular Season Shield and taking home the NWSL Championship. Previously, he served as the Fitness Coach for the Vancouver Whitecaps of the MLS for the 2012 & 2013 seasons. 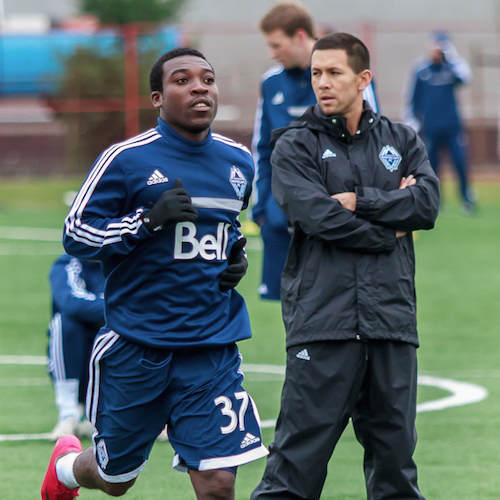 In 2012, the Whitecaps were the first Canadian team to make the MLS Playoffs and in 2013, the team won the coveted Cascadia Cup over rivals Portland Timbers and Seattle Sounders. Prior to that, Mike was the sport performance coach for the 2x NASL Champion Carolina Railhawks. In the sport of Track & Field, he has coached or assisted multiple Olympians, National Champions, Masters National and World Champions and Collegiate National Champions. As the coach of the Athletic Lab Track & Field Club (formerly HPC Elite), a team of internationally competitive track and field athletes, he has led the group to 7 USATF National Champions, one Masters World Champion and two Masters National record holders. The team has placed almost 20 athletes in national championships or Olympic trials since its inception in 2008. Previously, Mike served as a jumps and multi-events coach at Ohio University where his athletes set 2 school records in one year. Following OU, Mike moved to Baton Rouge where he mentored under legendary track and field coach, “Boo” Schexnayder for 4 years. 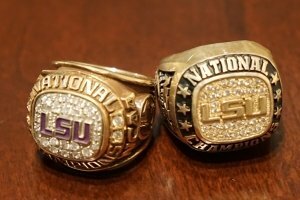 While at LSU, Mike was on the staff of 6 National Championship teams. Following his time at LSU, Mike became the sprints, pole vault and multi-events coach for Army Track & Field. In his 3 years at Army, Mike’s athletes rewrote the record books with 9 school records, 54 All-Time Top Ten performances, 24 Conference Championships and achieved the three highest point totals ever recorded in a single event at the conference championship. In 2012, Mike briefly served as the Sprint Coach and Technical Director for the Track & Field team at NSCU. In the sport of weightlifting, Mike is the head coach of Athletic Lab weightlifting club which has produced competitors at the National and International stage at the Junior, Senior and Masters levels. Mike is equally qualified as a sport scientist and coach educator. His research on sprinting, stretching, balance and throwing activities have been published and presented in Regional, National and International journals and conferences. He is an invited editor for two of the top sports science journals in the field, the Journal of Sports Sciences and Sports Biomechanics. He served as the biomechanist for the United State’s men and women shot putters for 15 years. During that time period, they consistently ranked among the best in the world and have won numerous World Championship and Olympic Games medals. In 2010, Mike also briefly served as the biomechanist for the American high jumpers. As an educator, Mike has been an instructor or professor at Ohio University, Louisiana State University, the University of North Carolina and Lenoir-Rhyne University. He continues to guest lecture in academic institutions around the world. He is one of the most sought after speakers in the world on athletic development. He has lectured for the Wales, United Kingdom and Scottish Rugby World Cup teams, USA Speed Skating, the Chinese Olympic Coaches at the Beijing Sport University and the North Carolina Justice Academy where he has instructed the Physical Preparedness for Law Enforcement Officers course. He is a Level 1, 2, and 3 Instructor for USATF and has served as the Director of Technology, Biomechanics Chairperson, Sport Science Chairperson and Vertical Jumps Chairperson for USATF’s Coaches’ Education division. He is one of only two people to be a Level 3 instructor in three different event disciplines (sprints, throws, and jumps). In his role as a USATF Coaches Education instructor, Mike became the youngest Level 2 (at the age of 26) and Level 3 (at 28) instructor ever in the 30 year history of the program. He has also taught more Level 1 schools than anyone in the history of the program. More recently, he took over as the sport science chair and one of the lead instructor for the USTFCCCA’s Coaching Academy. Additionally, Mike is a prolific author, having written 2 book chapters, 2 books, and over 20 articles published in nationally distributed publications ranging from Maxim to Runner’s World. He is regularly featured on websites as far ranging as ESPN, BBC, WebMD and Greatist.